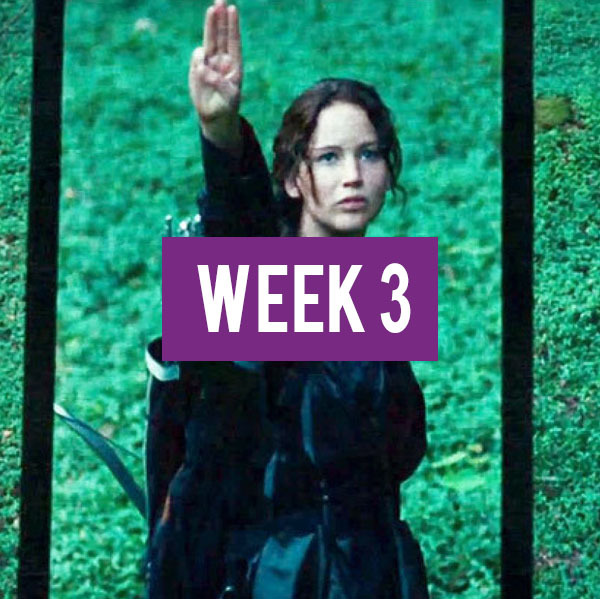 Hey everyone, it’s Maryan back with another blog post. 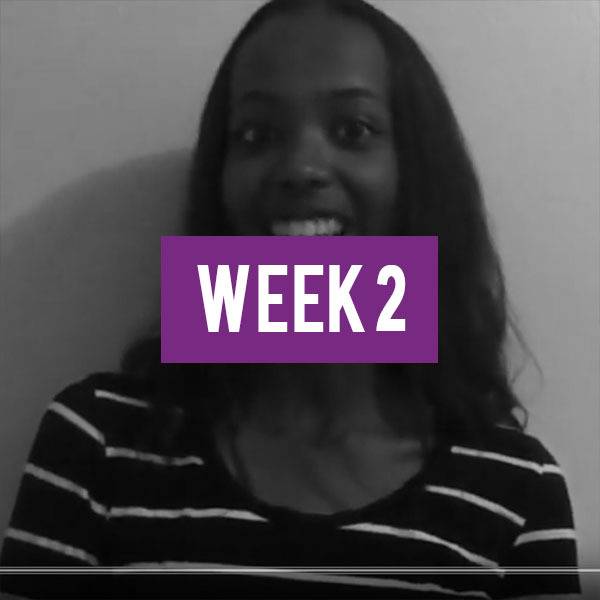 I’ve talked about many reasons why Ryerson is the place to be. A big reason of why I chose Ryerson has to do with its downtown location- there are many perks to being right in the heart of Toronto. One of those perks is all of the cool entertainment being in such a vibrant city brings- cool music, celebrities, and what I love most- movies. 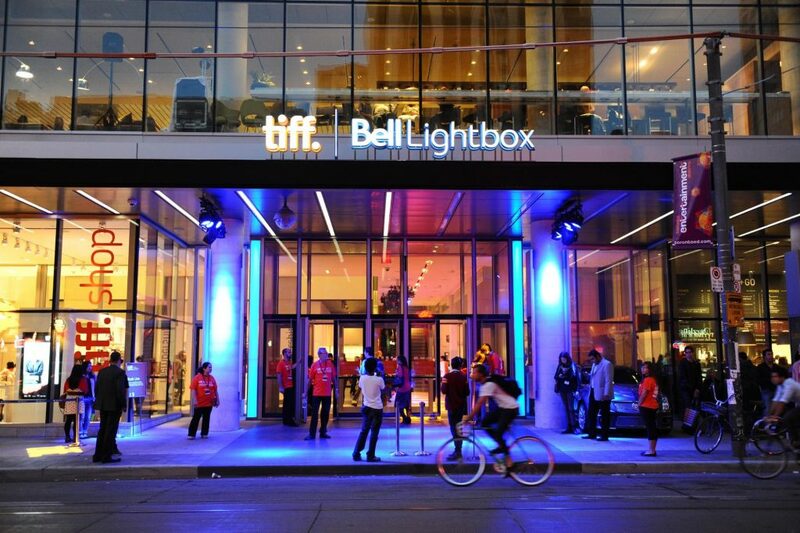 The TIFF Bell Lightbox on the left, and some of last year’s celebrities to visit on the right. 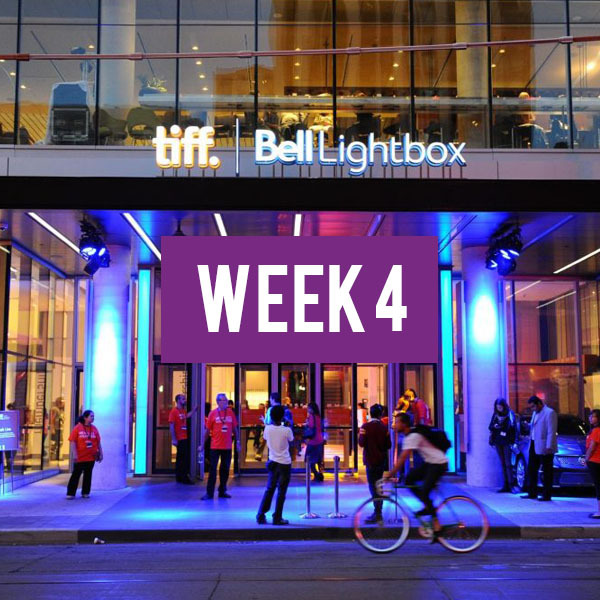 If you live in Toronto, then you may be familiar with a little event that happens every year called the Toronto International Film Festival. It’s only one of the biggest, star-studded film events in the entire world, bringing along Hollywood A-Listers, newcomers, and selections from all across the globe. As a movie fanatic, I’ve always been fascinated by TIFF, but it wasn’t until last year when I was able to really get involved with it. I applied for to be a member of their youth committee, called Next Wave- and to my surprise, was selected to be a part of it. The 2015-2016 TIFF Next Wave Committee, with me at the very far left. 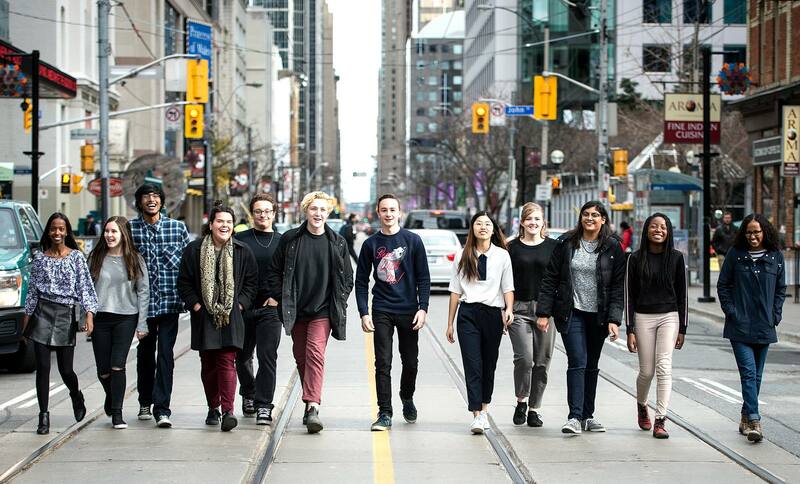 The TIFF Next Wave Committee is a group of 12 teenagers from across the GTA that have a passion for the film. As a member of the committee, I’ve gotten to screen and talk about movies with other youth, and foster discussions about what teens my age would like to see in the world of film. 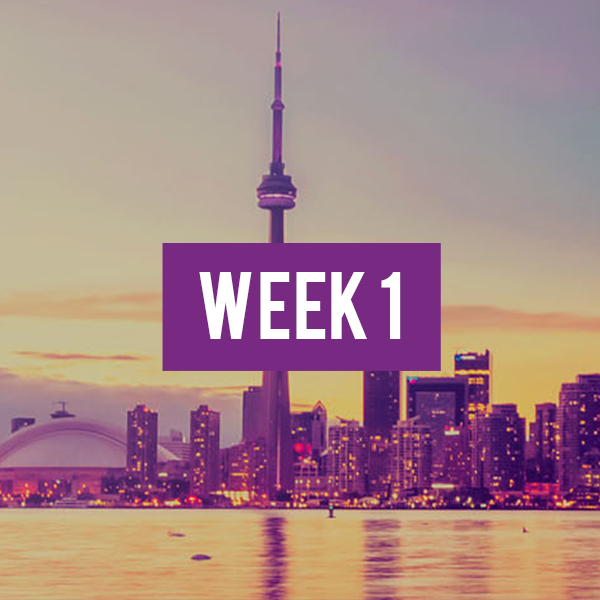 We take part in programs year round, but the highlight of our experience is organizing and hosting the TIFF Next Wave festival, a weekend long festival in February designed specifically for youth. We get to choose the theme and all of the movies screened (both new releases and classics), the various events that we have (such as a Battle of the Bands and art showcases), and are in charge of marketing and promoting it around the city. A picture of me coming home from a busy day at the festival- only to find a Next Wave poster on the subway! Taking part in the program has exposed me to so many experiences and opportunities in the world of media. I’ve gotten to meet and work with people in the TV and film industry, and learn about their lives in media. It was actually the catalyst for me to apply to RTA Media Production at Ryerson, the program I will be starting this September. Before being on the committee, I thought of the arts and film as merely something to do as a hobby, and not something that would make a realistic career. After seeing how much work goes into TIFF Programming, and all the different roles available in the media and film industry, however, I realized that there were so many career options for me to pursue, and that being in such a field is what would make me truly happy. 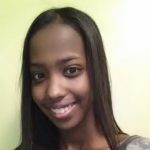 Had I not been apart of Next Wave, I would have likely applied to a program I wasn’t passionate about at a university that was not Ryerson- how horrible would that have been? Last year, my favourite experience I had at TIFF was watching the movie The Final Girls as a part of the festival’s Midnight Movie Madness lineup. The film brought together slasher and comedy fans of all ages; the laughter and enjoyment in the room was absolutely infectious.It also coincidentally screened at the Ryerson theatre- an early signal to me to apply to such a cool university. 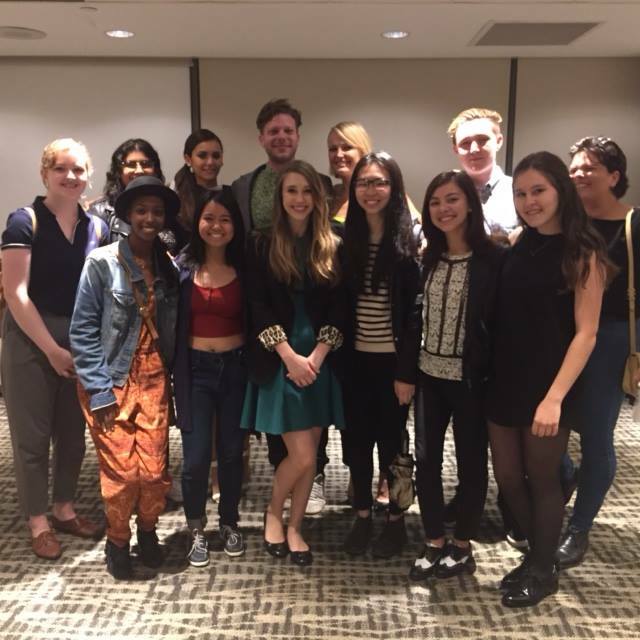 Meeting the cast of the Final Girls, including Taissa Farmiga, Nina Dobrev, and director Todd Strauss-Schulson! I had no idea Ryerson had such a cool partnership with TIFF- now I’ll feel a little less guilty about skipping classes to attend upcoming screenings (just kidding, movies are cool but school is important- I can make time for both). All jokes aside, I’ve never seen a school so immersed into pop culture and connected to the city as Ryerson. Not only does it make me feel welcome- it also shows me that at Ryerson, the university experience isn’t all about studying; entertainment and events like this will also shape the next 4 years for me. It’s so amazing knowing that I can finish my classes, get food at one of the many great restaurants downtown, and then walk on over and get an autograph from a star at their red carpet premiere- all in the span of one afternoon. I’m looking forward to this year’s festival even more now (don’t even get me started on the incredible lineup), and hope to see some of my fellow Ryerson students there! Thank you so much for reading my blog- don’t forget to check out my past blog posts, and share your story with the hashtag #RoadtoRyerson. 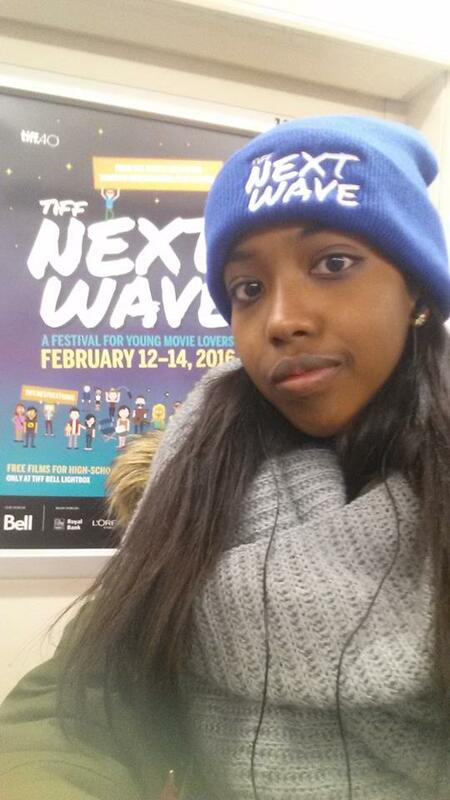 Also, go check out TIFF Next Wave, and look out for all of our upcoming events!